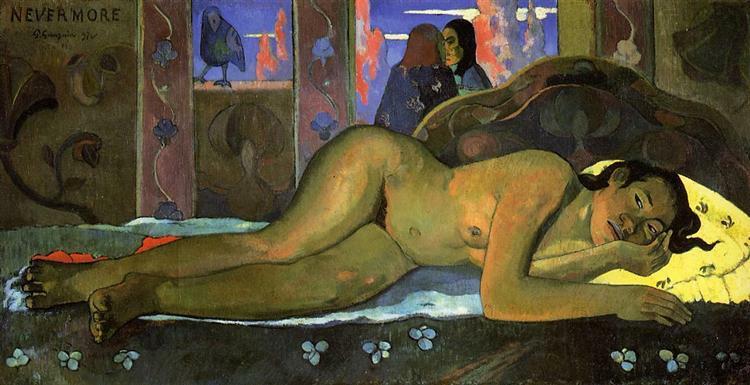 The Yellow Christ, in addition to The Green Christ, also painted by Gaugin, is said to be one of the key works in Cloisonnism. 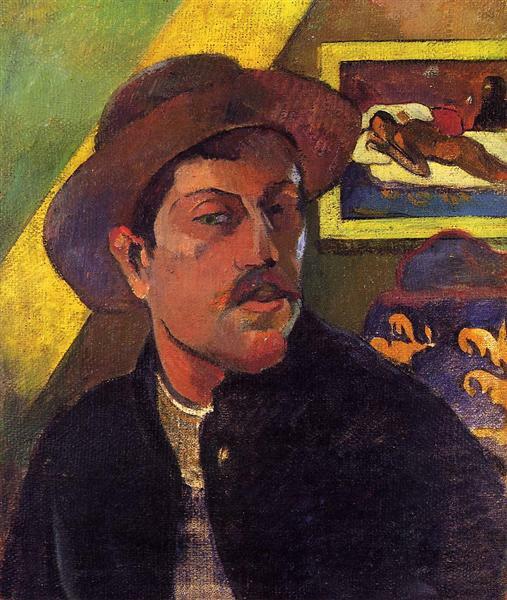 The Christ in the painting is a direct representation of a crucifix in Pont-Avon, France, where Gaugin visited to paint a number of times. 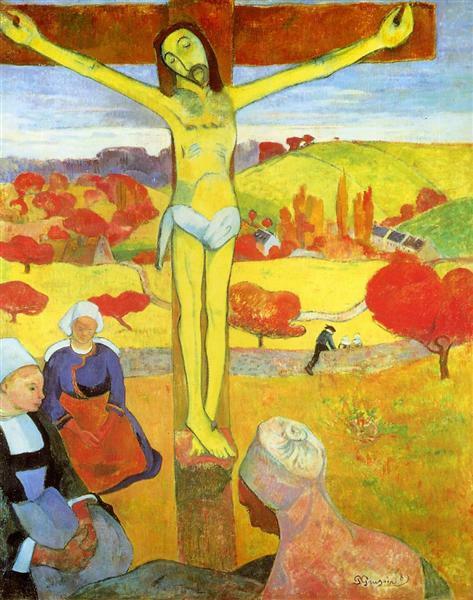 It depicts a yellow form of Christ being crucified in 19th century northern France. 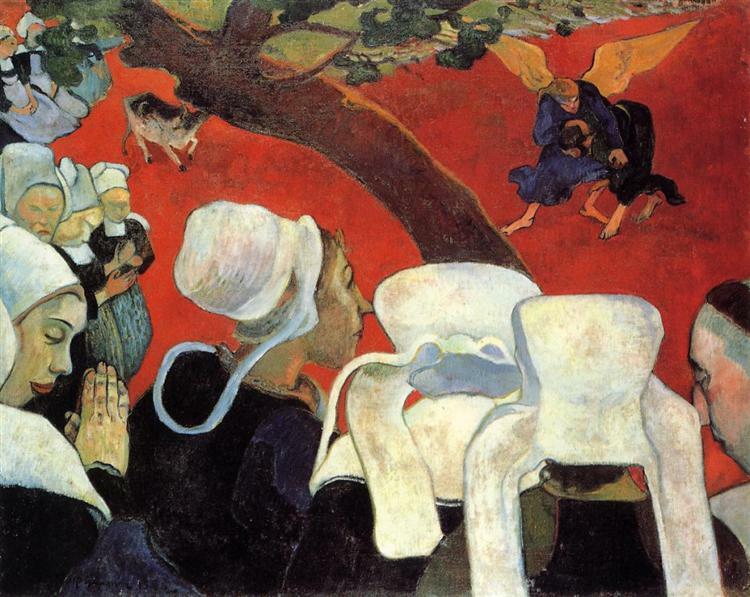 French Breton women gather around the cross in prayer. 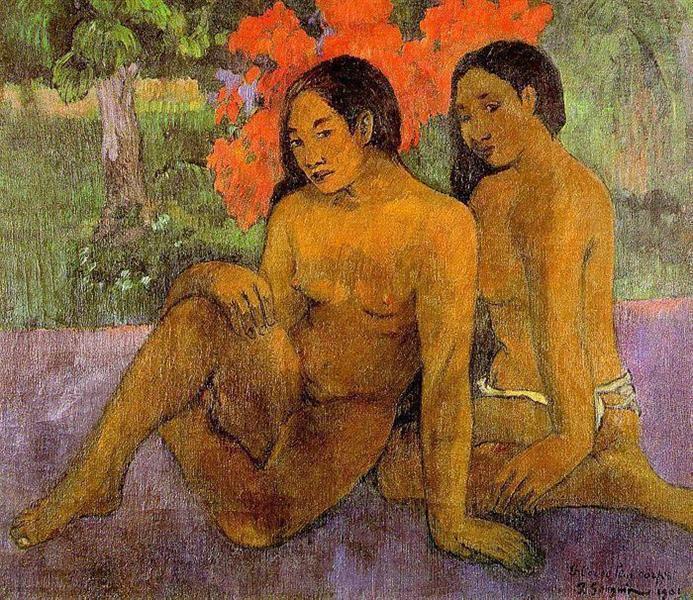 The only shading in the painting is of the women bowed in prayer, the figure of Christ on the cross clearly outlined in black, and his form is flat, typical of the Gaugin’s symbolic style. 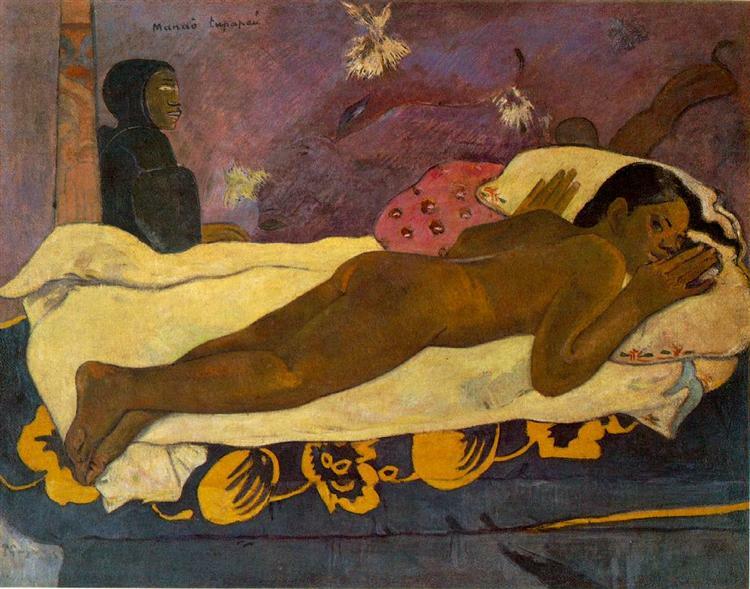 The Yellow Christ (in French: Le Christ jaune) is a painting executed by Paul Gauguin in 1889 in Pont-Aven. 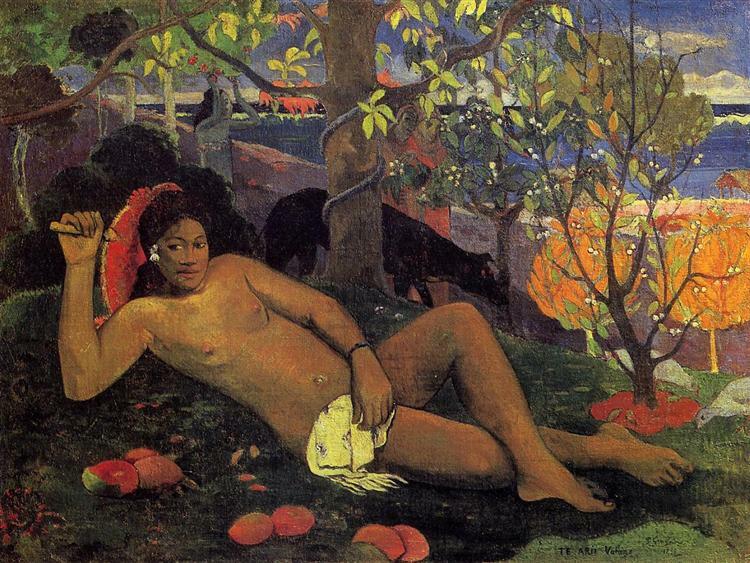 Together with The Green Christ, it is considered to be one of the key works of Symbolism in painting. 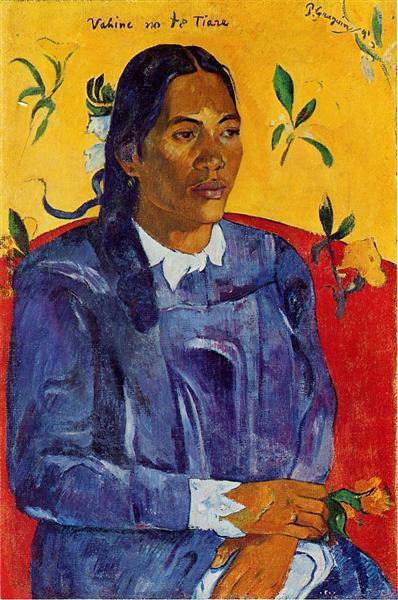 The Yellow Christ is a symbolic piece that shows the crucifixion of Christ taking place in nineteenth-century northern France as Breton women are gathered in prayer. 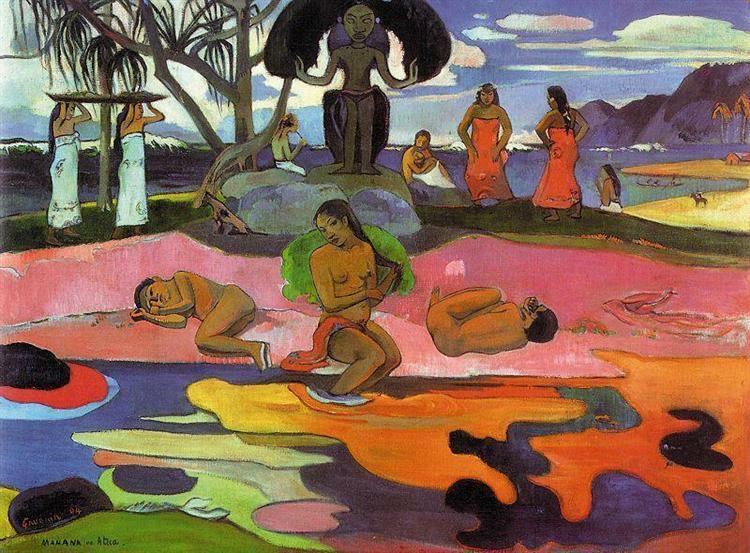 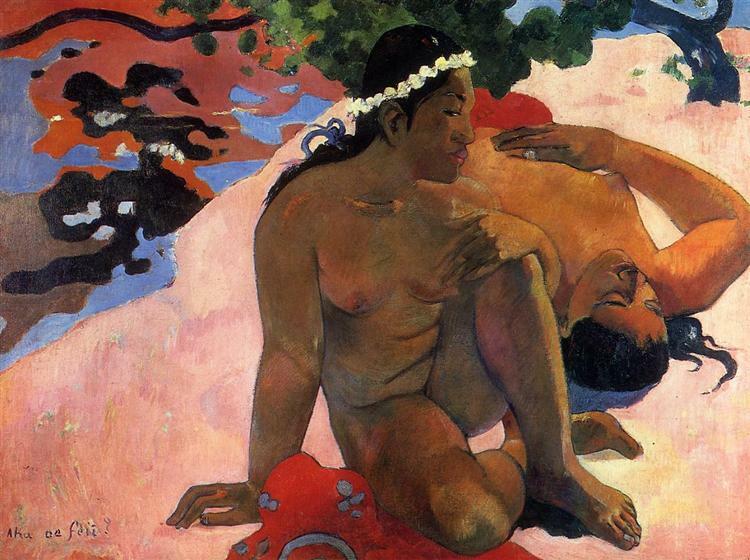 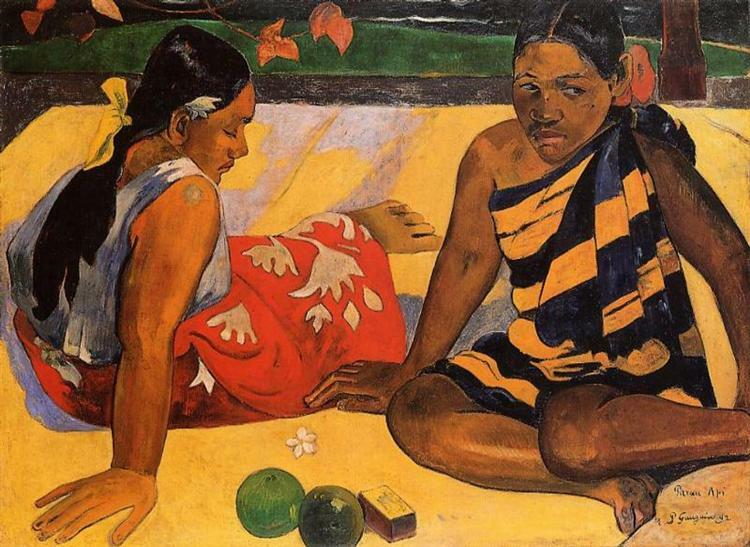 Gauguin relies heavily on bold lines to define his figures and reserves shading only for the women. 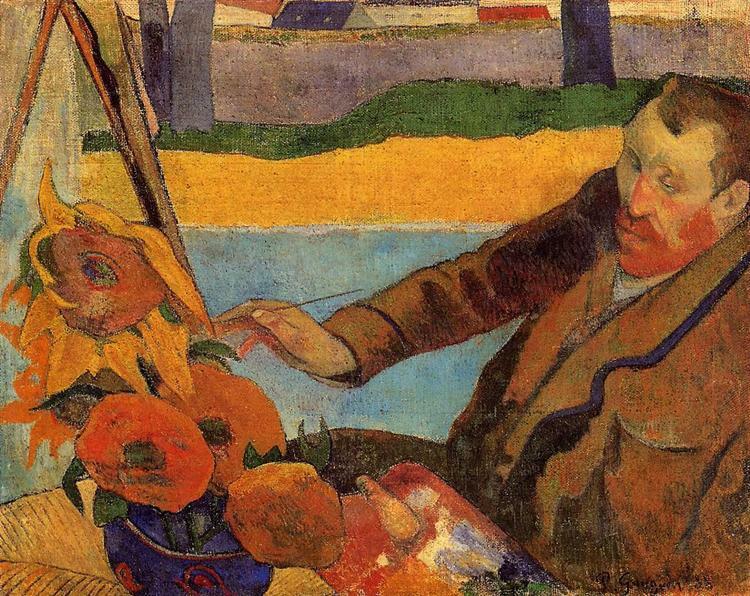 The autumn palette of yellow, red and green in the landscape echoes the dominant yellow in the figure of Christ. 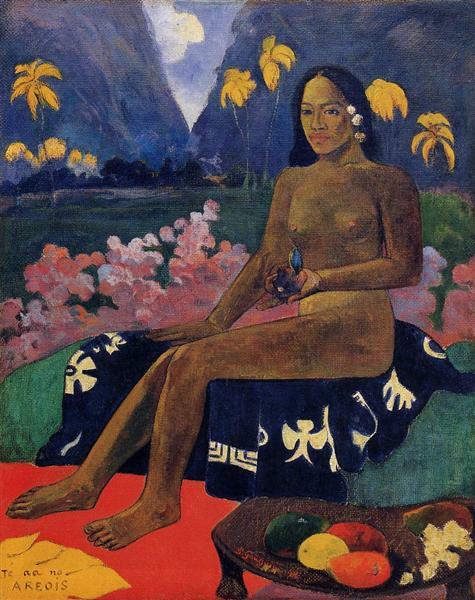 The bold outlines and flatness of the forms in this painting are typical of the cloisonnist style. 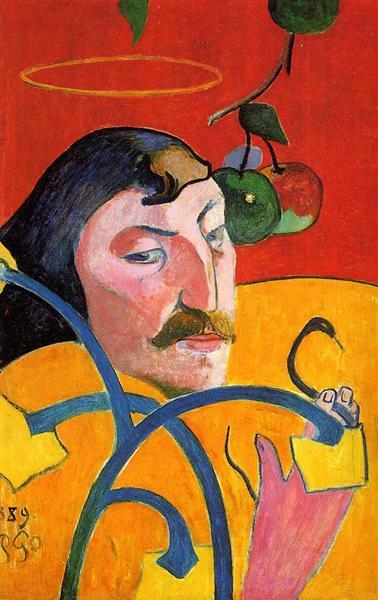 A study for The Yellow Christ in pencil is preserved in the Thyssen-Bornemisza Museum, and a version in watercolor is in the collection of the Art Institute of Chicago, gift of Elizabeth F. Chapman.